Employment of Certified Event Planning Specialists (CEPS) is projected to grow 33 percent from 2012 to 2022, much faster than the average for all occupations, according to the Bureau of Labor and Statistics. As businesses and organizations become increasingly international, professionally organized events are becoming more important than ever. The median annual wage for meeting, convention, and event planners was $45,810 in May 2012. 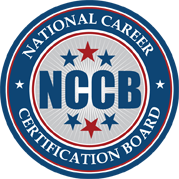 National Career Certification Board’s (NCCB) Certified Event Planning Specialist (CEPS) credentials encourage the professional development of Event Planning through voluntary participation. Benefits on earning the Certified Event Planning Specialist (CEPS) designation includes a competitive salary, preference among employers, and insight in the industry and recognition of commitment among clients. The benefits to becoming a Certified Event Planning Specialist (CEPS) may include more job opportunities, higher wages, and increased job security.